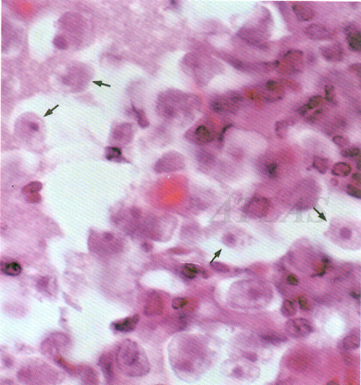 Trophozoites of Naegleria fowleri in mouse brain. The clear space around the trophozoites represents shrinkage of the amebas during the fixation process (H&E, 100x). 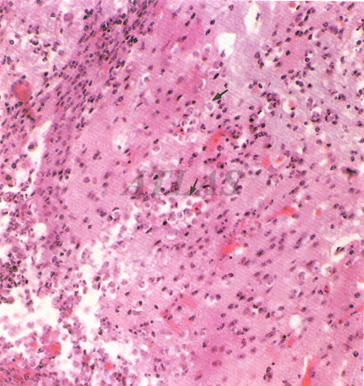 Trophozoites of Naegleria fowleri in mouse brain, typical large karyosome is seen in the nucleus (H&E, 1000x).